Bugs like mosquitoes and ticks can be a common summertime health risk for fathers and their kids, especially since many are spending more time outside. Consumer Reports magazine recently tested some of the most popular insect repellents on the market. According to WebMD, the magazine is recommending six different repellents to reduce the risk of bug bites. They are: Off Deep Woods Sportsmen II, Cutter Backwoods Unscented, Off Family Care Smooth and Dry, 3M Ultrathon Insect Repellent, Repel Plant Based Lemon Eucalyptus and Natrapel 8-Hour with picaridin. Experts say parents should follow package directions when using insect repellent on their kids, avoiding spraying them on the face and in the eyes, mouth, nose or on cuts. Fathers should apply repellents to their kids’ faces by spraying them on their hands first. 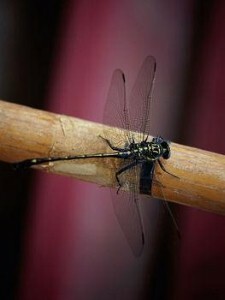 Other ways to avoid insect bites include staying indoors at dawn and dusk, wearing light-colored, loose-fitting clothing when outdoors, avoiding scented products that attract mosquitoes, eliminating standing water in your yard, wearing hats and pants to avoid ticks and inspecting the body for ticks after time spent outside.